I have been invited to speak at the 1st Scientific Conference on Strategic Development & Performance in Health Institutions in Riyadh in the Kingdom of Saudi Arabia, organised by the College of Medicine of the King Saud bin Abdulaziz University and the Gulf Cooperation Council. 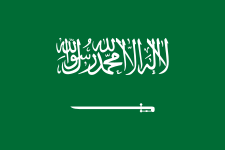 I fly out from Sydney to Riyadh, KSA today, via Kuala Lumpur, Malaysia and Muscat, Oman. My travel blog: When travelling I usually post photographs to the Calvidays Blog http://holidays.calvin.it, so you might want to go there and subscribe, or follow me on Google+. These aren't usually my best photos, but they're often memorable. Why am I speaking at a health conference? I'm giving a speech that I've given a few times before on risk management in the context of social media. Health institutions and professionals engage in social media for many reasons, and some of these reasons include altruistic (disseminating valuable health information), mere advertising, or for information gathering purposes. As an aside, my observation of Australian health institutions on Twitter is that they do this particularly badly. In a society which has a high proportion of young people (60% under 20 years old) with good internet connectivity there is an opportunity to both speak and listen on health matters.